France is a member of the Hague Convention on the International Abduction of Children. Brookman have a great deal of experience in advising on Hague Convention issues and we recently successful in defeating an application under the Hague Convention made by a French National in relation to child and mother who had returned to the UK. We have extensive experience in dealing with France and access to efficient representatives there. 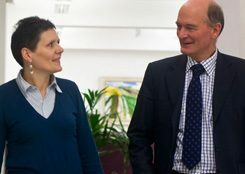 We are specialist divorce lawyers and family solicitors and we have advised numerous clients who are either UK–based but originate from France, or are living in France but have a connection with England or Wales.